CALGARY -- Cenovus Energy (CVE.TO) announced Wednesday it plans to swallow most of the Canadian assets belonging to ConocoPhillips in a $17.7 billion blockbuster acquisition that builds upon a recent trend of Canadian consolidation in the oil sands. 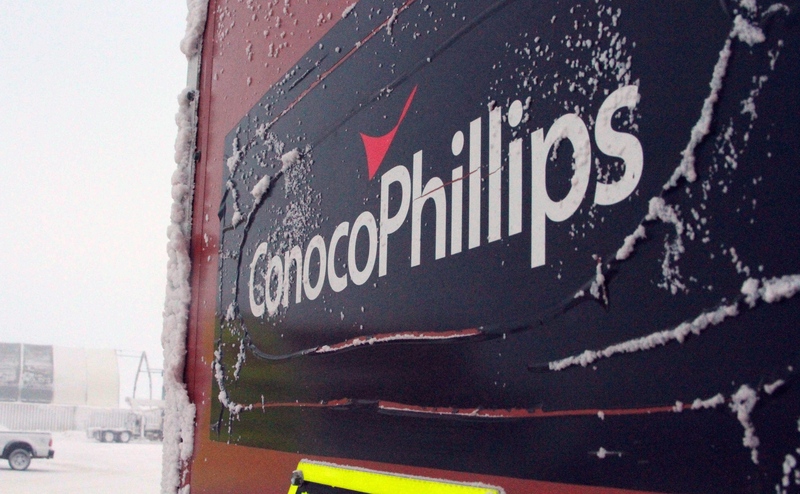 The deal makes the Houston-based ConocoPhillips the latest international player to reduce its exposure to Alberta's oilpatch. Cenovus CEO Brian Ferguson called it a "transformational acquisition" for the Calgary-based company, shares of which rose 7.5 per cent as of 5:15 p.m. ET on the New York Stock Exchange. "In a low oil price environment, economies of scale are important," Ferguson said on a conference call. "This deal about doubles the scale of the company and this will give us a greater competitive edge." The sale announced after the close of markets includes ConocoPhillips's 50-per-cent interest in the FCCL Partnership in northern Alberta, made up of the Cenovus-operated Foster Creek and Christina Lake oil sands projects — which in total produce about 390,000 barrels per day — and a proposed third major development called Narrows Lake. Calgary-based Cenovus is also buying the majority of ConocoPhillips's Deep Basin conventional assets in western Alberta and northeastern British Columbia, boosting its conventional output from 112,000 to 232,000 barrels of oil equivalent per day this year. What’s your reaction to Cenovus’s $17.7B deal with Conoco? It said it expects to generate total 2017 production of about 588,000 boe/d if the sale closes, more than double its forecast of 290,000 boe/d. The price includes $14.1 billion in cash and 208 million Cenovus common shares. Cenovus has also signed a five-year agreement that will see it make additional payments to ConocoPhillips if the average daily price of Western Canadian Select rises above $52 per barrel. Western Canadian Select averaged $39.14 per barrel last month, according to the Alberta government. ConocoPhillips chairman and CEO Ryan Lance called the deal a "win-win" and said it would allow his company to reduce its debt. 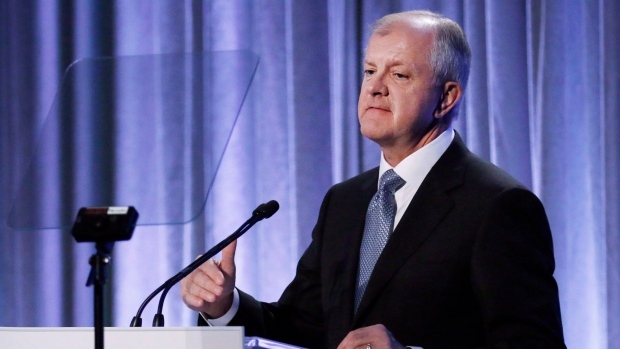 "ConocoPhillips Canada will now focus exclusively on our Surmont oil sands and the liquids-rich Blueberry-Montney unconventional asset," he said in a statement. Surmont is a joint venture oil-sands project with French oil giant Total with capacity of about 140,000 bpd. Alberta's oil sands, the third-largest proven oil reserves in the world, are also among the most costly and carbon-intensive to produce from and many companies have reconsidered their investments in the region recently. Three weeks ago, Canadian Natural Resources announced a $12.74-billion deal to buy Alberta oil sands assets from Royal Dutch Shell and Houston-based Marathon Oil. Earlier this year, Norway's Statoil closed its deal to sell all of its Canadian oil sands assets for $832 million. A year ago, Suncor Energy (SU.TO) took majority control of Syncrude with a $937-million purchase of American Murphy Oil's five per cent stake in the mine. Cenovus said it plans to raise $3 billion in an offering of shares to help pay for the acquisition, supplemented by cash on hand and debt financing. It said it has put its legacy Alberta conventional assets at Pelican Lake and Suffield up for sale and plans to sell additional non-core conventional assets to raise money to reduce debt. In a news release Wednesday, credit rating agency DBRS said it would place Cenovus's ratings under review with negative implications because of the increase in debt from the ConocoPhillips deal. "Proceeds from asset sales will be key in assessing the overall impact on financial leverage ratios, as should the price of the WTI oil benchmark and heavy oil," it said.